Careful of Fake Chinese SD Cards! Video of Fake Chinese SD Card Scam! Even though digital storage is as cheap, we all want to save money wherever we can. What is actually the difference between those super cheap SD cards you see in various internet ads and the expensive ones? The vast majority of experienced camera users know that you should not buy and use cheap SD cards. For various reasons. However, many newcomers to the photography world just does not know what is real or what is fake before the mistake is done. In the hilarious video above, Linus Tech Tips looks into those super cheap “big” micro SD cards. Imagine it, 1 Terabyte for only $32.99. Those greedy tech corporations are defrauding us when we can just order it cheap from China! Thank God for the internet! On the serious side though. There are many frauds on the internet and this is just another one. What surprised me the most was how ingenious it actually is. When they plug in the SD card, it actually does show 976 Gigabytes, a little less than the advertised one Tera byte. They are even able to keep adding files and the first files they add works perfectly. The reviews on the eBay site are even positive. What is going on? Maybe the clue is in one of the negative reviews, where one reviewer thinks some of his data has been overwritten. Nevertheless, how does that add up with the computer showing 976 Gigabytes? Check out the video, stay aware and remember to use some common sense when buying stuff on the internet. Do not do like I did. I bought a $2 64 Gigabyte micro SD card on Wish. 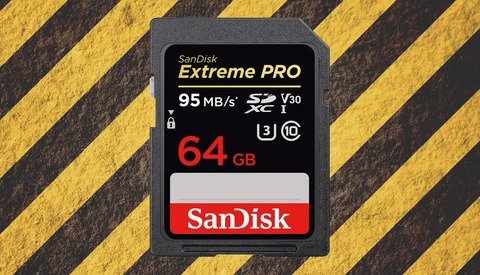 In my own experience, buying cheap SD cards can be catastrophic for your footage. Back in 2016, I went to Iceland and for some rookie reason I put a cheap 64 Gigabyte micro SD card into my GoPro Hero 3 Black. I just needed something, which were “good enough” for timelapses. After all the GoPro only photographs in 12 megapixels. Those files are relatively small. What could possibly go wrong? As you can see on the screenshot above 18 out of 63 files are either corrupted or unreadable. This is only a small segment of the time-lapse footage. A problem I have never had using a proper good quality micro SD card. Personally, I go with Sandisk most of the time, but there are other acknowledged brands out there such as Samsung and Sony. Safe to say I never used this footage and lesson was learned. I hope that you can benefit from it too. I can’t imagine the Chinese would fake anything, they have such a long history of creating their own original products. Gun Powder, Chinese Ming vase, and they have a nice beautiful stone wall with lovely doors and everything. I have a lot of this cheap SD Cards because they were cheap for starting and they havent give me any problem until i went to film a wedding and all of that F**** cheap SD cards fail and i was in a very huge problem with the client. Strangely, the headline of that article didn't shout out that the fakes were being sold by a USA company. Where was the "don't risk buying from USA" message, like there is here about China? Sandisk make their memory cards in China anyway, so we are buying Chinese memory cards either way. But I guess bashing China is cool these days. I think you missed the point. These cards are fakes (most sold on ebay) that may or may not be sold by a US company. You said, "Sandisk make their memory cards in China anyway, so we are buying Chinese memory cards either way." The original cards are made to standards. The fakes may be labeled as a 256 gb card but in reality it's a 64gb card. That will not happen with a genuine Sandisk card. My point is that the mention of China in the headline is irrelevant to the issue. The issue is that if a memory card price seems too good to be true then it probably is. The country of origin of both the retailer and the manufacturer is irrelevant to the purchase decision, when it comes to fake memory cards. And so what we have remaining is a headline that's simply on the latest China bashing bandwagon. You said, " the mention of China in the headline is irrelevant to the issue." Didn't the fake cards come from China? If it did not, then you are correct. However, if it did, then you are wrong. Of course they were manufactured in China. Then you said, "The country of origin of both the retailer and the manufacturer is irrelevant to the purchase decision, when it comes to fake memory cards." Again. Where are fake cards coming from? The truth is China. That is just a fact. You can't change facts. You said, "what we have remaining is a headline that's simply on the latest China bashing bandwagon" How can that be? The fake cards are manufactured in China. The Fake cards are sold by retailers/wholesales in China. Either directly or via wholesale channels. If what I just laid out is true and it is. Then how could the headline which says "Careful of Fake Chinese SD Cards! ", be incorrect. 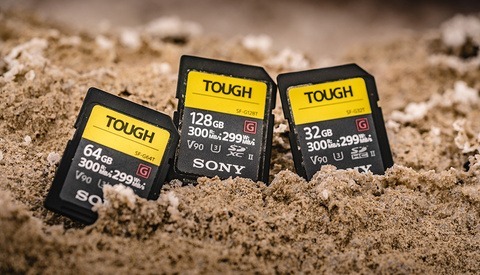 Maybe they should have said "Careful of Fake SD Cards coming from somewhere in the world!" or maybe "Careful of Fake <censored> SD Cards!" If the headline said "watch out for inferior Chinese products", then your logic might be valid, but it did not..
Bill, ALL the Sandisk labelled memory cards are made in China, whether they're fake or not. Therefore it is irrelevant whether the fakes were made in China, because their place of manufacture has nothing to do with whether they're fake or not. So "Careful of extremely cheap SD cards" would be a much more relevant title. The existence of the word "Chinese" in the title is irrelevant to whether the cards are fake or not, because their place of manufacture tells us literally nothing about whether they may be fake or not. Yes? I guess we will just have to disagree. I tend to look for complete and most informative truth as being correct and you look for truth just not complete. For the person that does not know that all Sandisk cards are made in China. My compete truth would make them informed and your way would make them less informed. You should accept the complete truth and not be offended by something this simple. So "Beware of fake plastic SD cards" would also be a great heading in your mind, Bill, because the fake SD cards are all cased in plastic (as are the real ones)? I'm not offended by the title, but I do get tired of the ongoing China-bashing that comes out of US websites such as FStoppers, and is blatant here. Bless your heart. That is what we say in the south before we tell you, you are way off base. Your comparison just does not make sense. EVERYONE KNOWS THEY ARE PLASTIC. EVERYONE DOES NOT KNOW ALL SANDISK CARDS ARE MADE IN CHINA. I'm sure you are good person and let's leave it there. Otherwise, you are making yourself look worse with each post. Whether everyone knows they're all made in China or not is also completely irrelevant to whether they're fake! I bet I'm a lot further south than you, and here we let you know you're way off base by saying pull your head in, mate. I'll leave it at that. You have proved yourself irrelevant. Your logic makes absolutely no sense and a 3rd grader would understand better than yourself. It's hard to carry on a conversation with someone who is so uninformed, makes irrational arguments and sometimes uses circular logic. I was trying to be very nice to you, but you are not observant enough to even see that. I do hope you get control of your anger and misplaced feelings. Who buys this stuff anyways?? 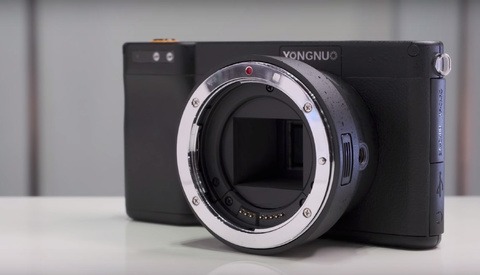 I mean, if you can afford a $2000 camera are you going to cheap out on a simple SD card?? Really? Why anyone needs to record a video about this to make a point is beyond me. It's actually comical. People flock to cheap because they think they're getting a deal. There is pretty much zero thought as to price vs quality. Paying a lot for something doesn't ensure quality. However, quality is typically not going to be priced lower; it will invariably cost more. For logical reasons of course. Human nature being what it is fails to see logic for who knows what reason. Don't buy Chinese is a good motto to live by in general. Why support a country who couldn't care less about patents and/or trademarks and/or quality? Really people... why? Fake cards are a big issue. I offer a photo repair service (disktuna[.]com). If files can not be repaired, 9 out of 10 times it is due to those fake cards. A common scenario: x photos are fine. Then all of a sudden one photo shows only half the image. 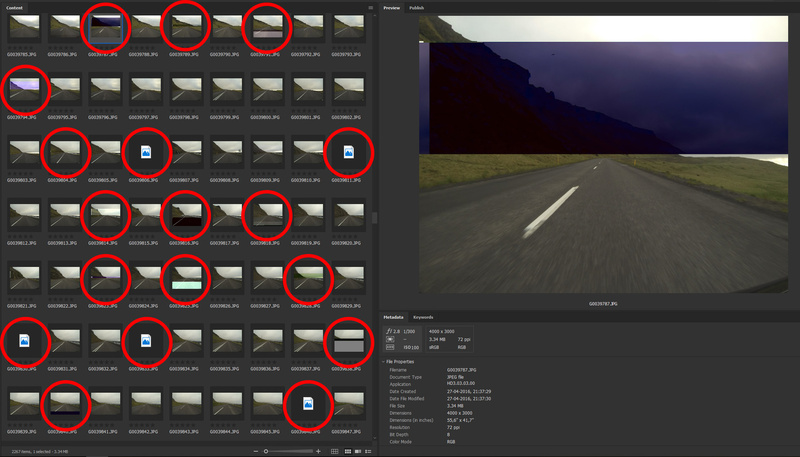 Next photos are all blanks.When I open these in a binary editor I see the half file abruptly ending. 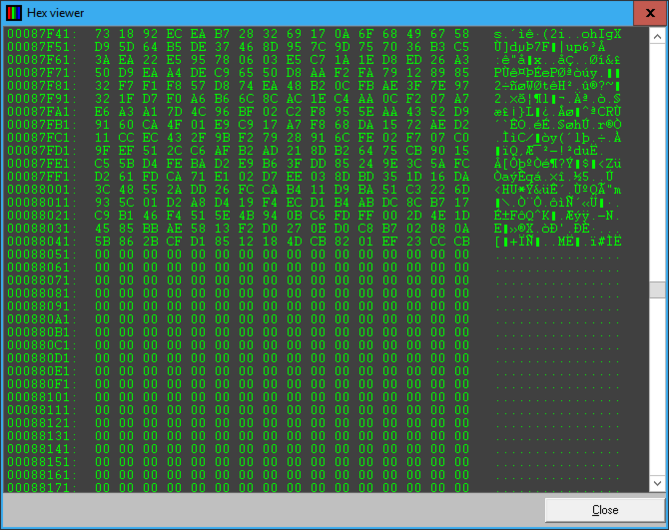 Following files are completely filled with zeros. Data was never actually written because memory cells are non existent. The hacked firmware of the card makes the camera 'think' the file was successfully written however. Story often is that on a vacation card is full and some cheap card is purchased to keep on going.